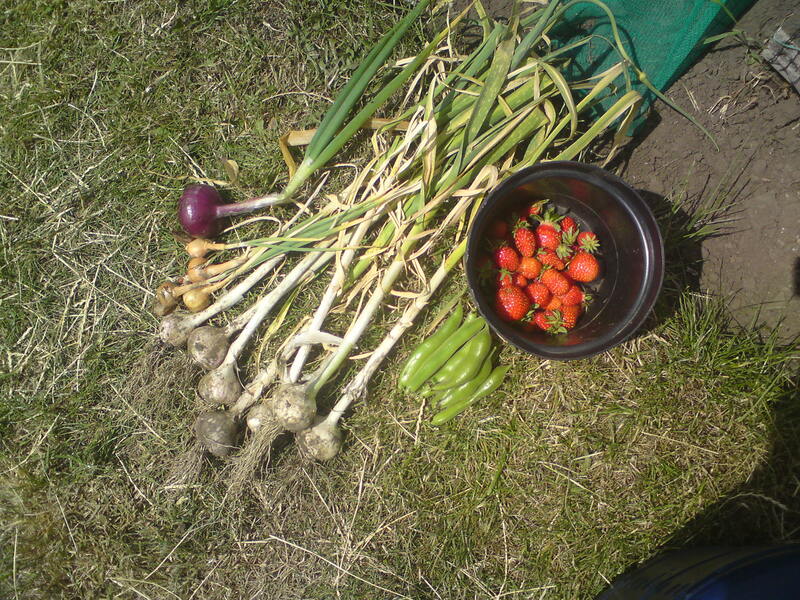 First pickings of the year from the allotment. Ten spuds, bowl of strawbs, broadbeans, peas, garlic, shallots and an onion. For tea. Yum eh kids?